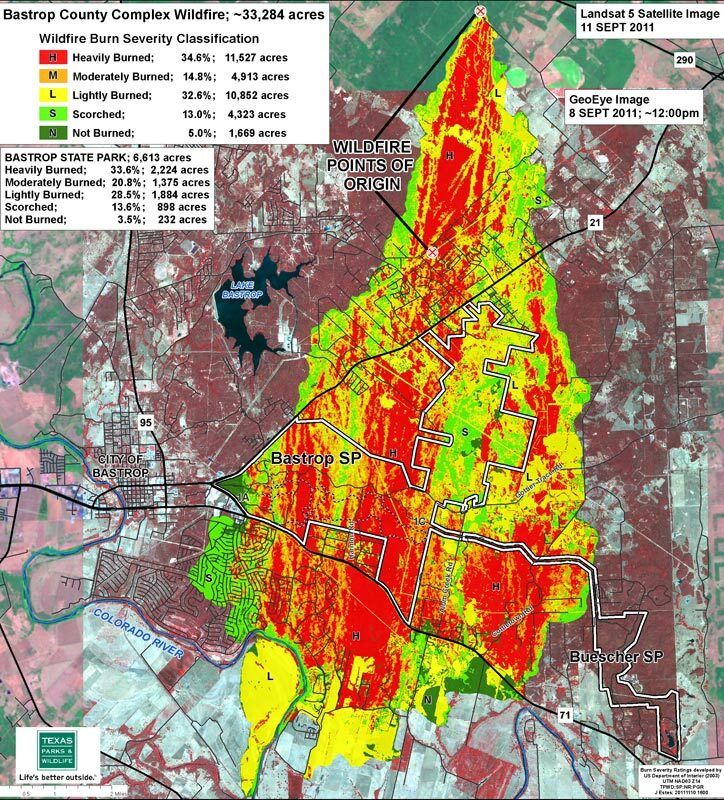 In 2011 was the most devastating wildfire in Texas history. 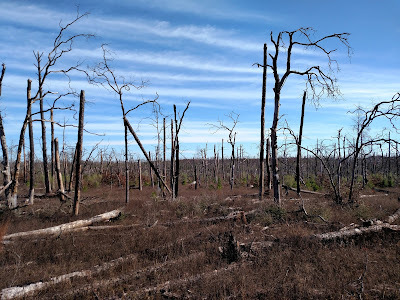 It left most of Bastrop State Park, and its ancient "Lost Pines" ecosystem, a skeletal ruin. In recent years staff and volunteers have been busy replanting. 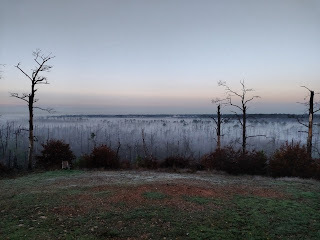 The Forest – The "Lost Pines" are a isolated pocket of lobollies over 100 miles west of their usual range. They were separated by glaciers 12,000 years ago and have adapted to the drier conditions of central Texas. 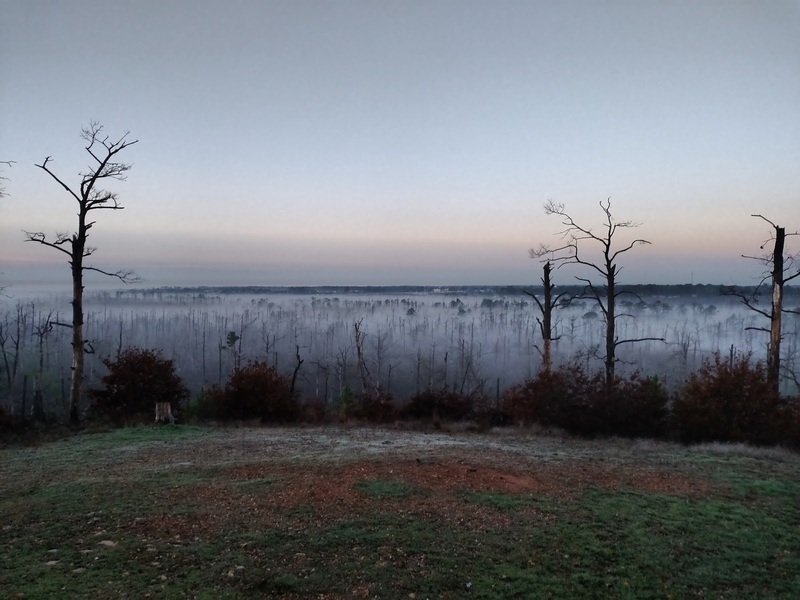 Of the 34,000 remaining acres of the Lost Pines, Bastrop State Park protects 6,600 acres since its establishment in 1937. 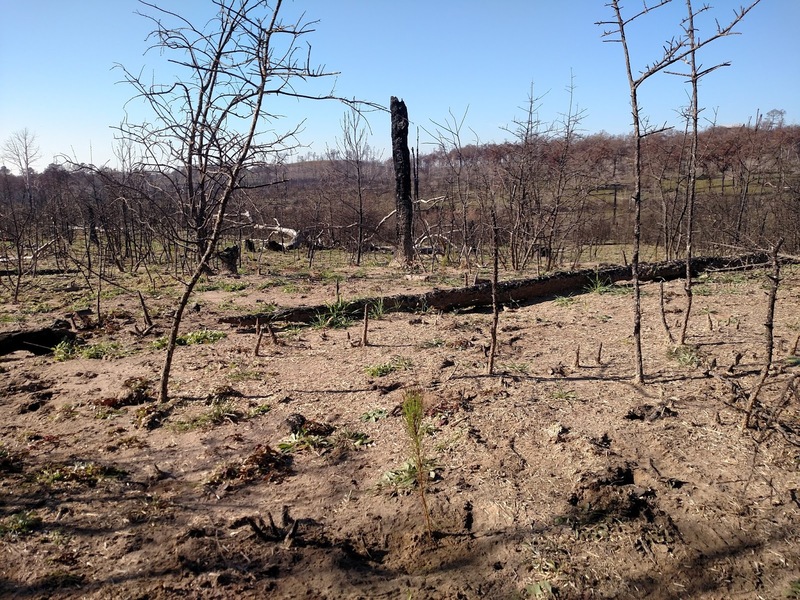 The Fire - Sparked by downed power lines and fueled by weather (heat, drought and strong winds), the fire claimed 1,691 homes, $325 million in damage and two lives. It took a nation-wide response and almost two months to fully extinguish. 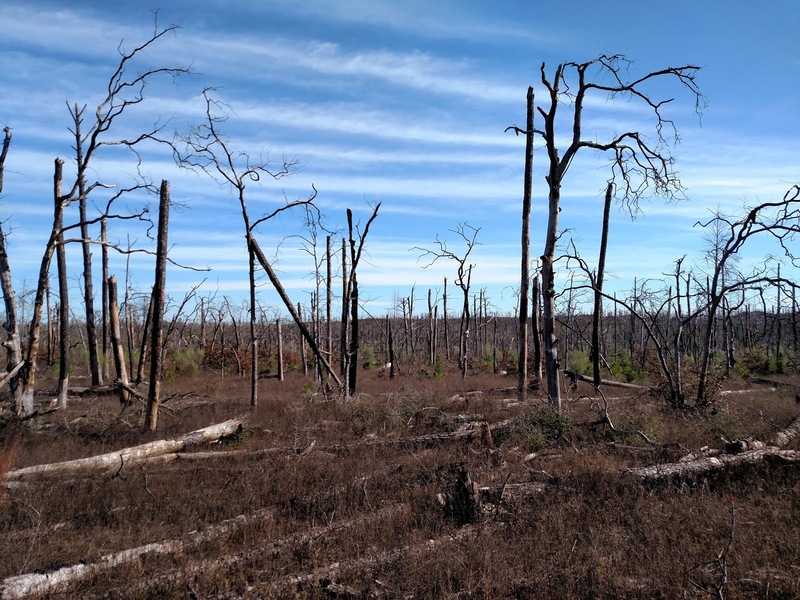 Over 96% of Bastrop State Park was affected, 33% severely. 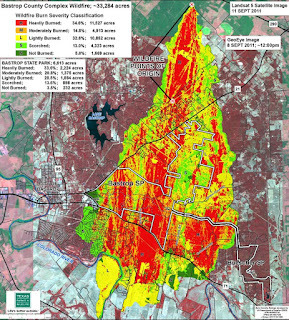 Much of the endangered Houston Toad's habitat was also destroyed. The Fix – Replanting Bastrop is such a monumental project it needs a book to put into perspective. "Harry Potter and the Goblet of Fire has about one million characters," said volunteer coordinator Kristen Williams, hoisting a copy of up the toaster-sized novel. 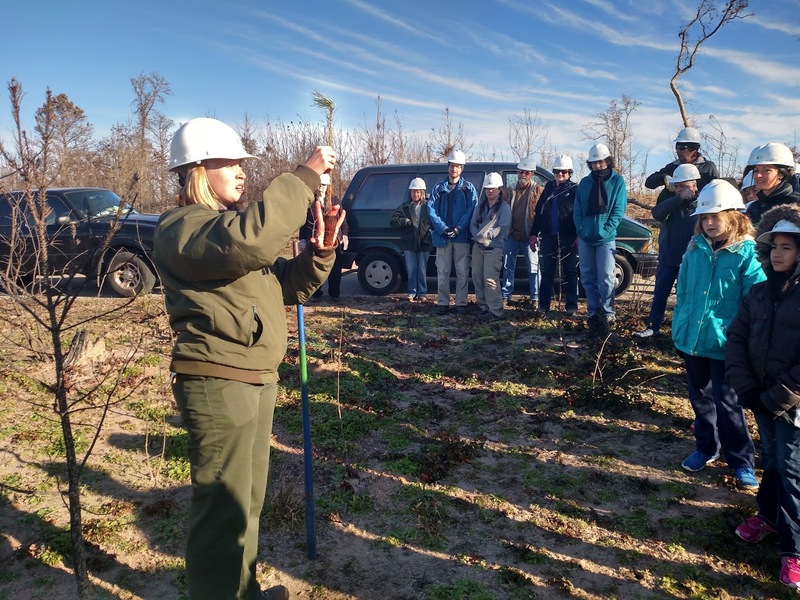 She explained that over five years the park will plant two million loblolly seedlings; that's one for every letter, space and punctuation mark in "two Goblets of Fire." 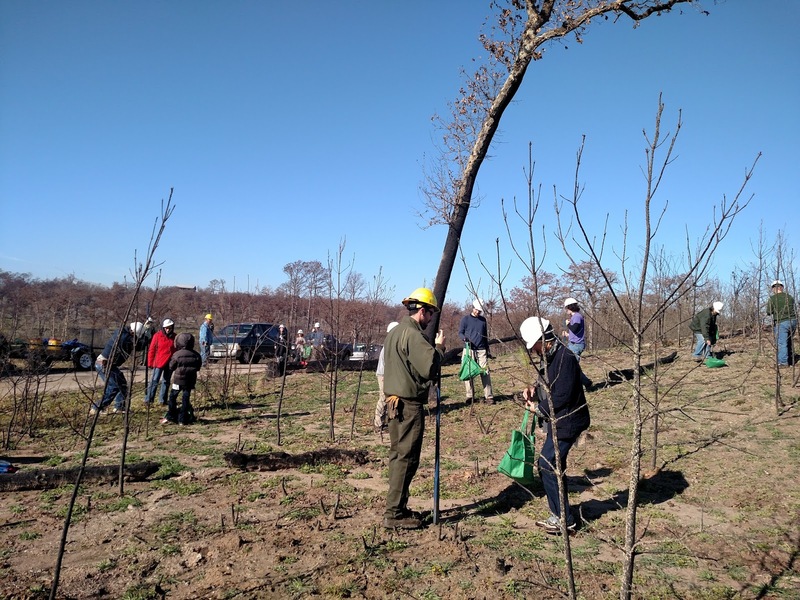 This day (2/7/16), with about 40 volunteers, we planted 1230 seedlings on about two acres of future forest. 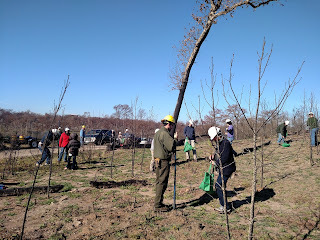 Seedlings were grown by a private company in Georgia. But seedstock was gathered onsite because of their drought tolerance. 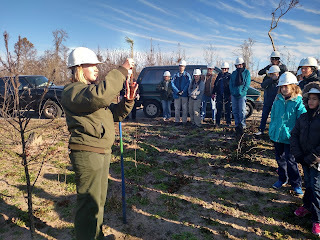 Seedlings were planted at 10'x10' spacing, roughly 544 per acre, considering a survival rate of 15-20%. Sunset from observation tower, built by the CCC in the 1930's. How can we minimize future catastrophe? 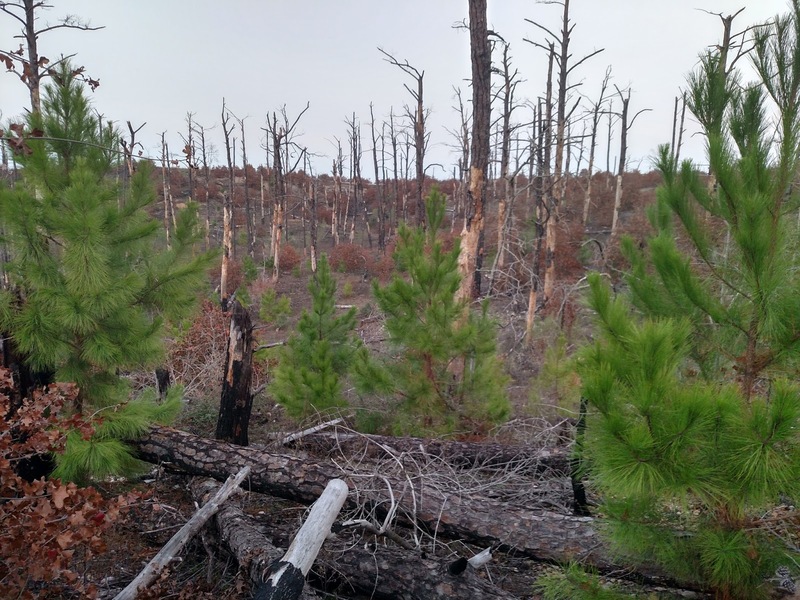 Like most ecosystems in the United States, pine forests evolved for tens of thousands of years with frequent, low-intensity fires. 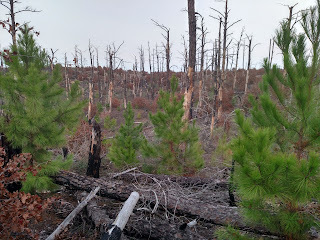 They maintained open, habitable understories and regenerated fire-adapted plants. Since European-American settlement have we been suppressing fires, which has degraded these fire-dependent ecosystems. 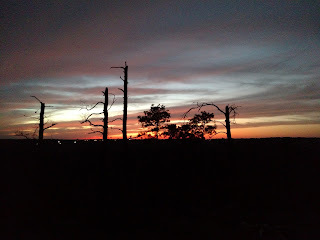 Worst of all, as Bastrop reminds us, we've inadvertently been increasing fuel loads and the odds of eventual disaster. 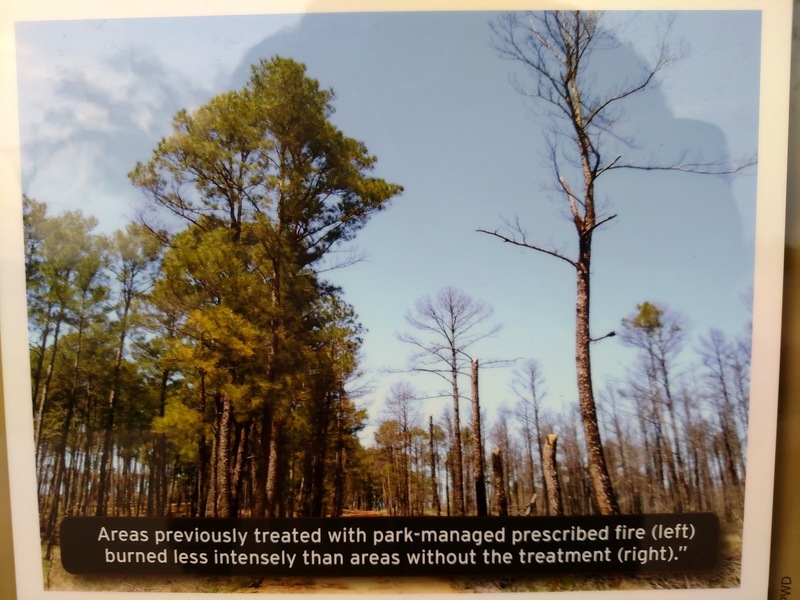 We've seen how prescribed burns can restore forest health and habitat. Now we see how they protect forests from catastrophic wildfires. That's fighting fire with fire.